Were always getting asked fire extinguisher servicing questions when were out and about in Glasgow by prospective clients and other people we bump into. So if you ever have a question were only at the end of the phone if you want to contact us on 01415612735 at any time. 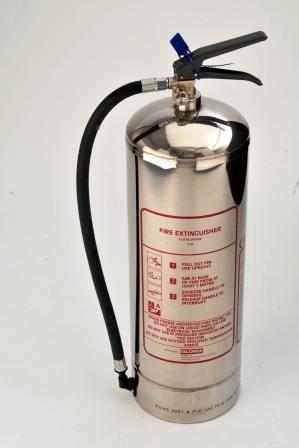 So I decided to write a brief outline about what you need to know about extinguisher servicing to keep your workplace safe and your fire extinguishers serviced and ready to go at a seconds notice. Firstly BS5306 part 3 (Commissioning and Maintenance of Portable Extinguishers) is a best practice document and standard set out to maintain that all fire extinguisher servicing is carried out to a safe and reliable standard for all workplaces to comply with. Once a month carry out a fire extinguisher inspection please click the link for full details. Every 12 months your fire extinguishers should be tested, inspected and serviced by a fully qualified technician to prove they are safe and fit for purpose. Your fire extinguisher servicing company should issue you with a certificate which tells you that all appliances are in a safe and reliable condition. extinguisher servicing may be carried out one month before or one month after the 12 month period. Please note: Your insurance company will insist that you set up a maintenance contract and we can help you to do that enquire here. Outwith these times: if your fire extinguishers are let off, damaged or the pressure has dropped then you should contact your servicing company immediately and arrange a visit to rectify any maintenance issues. Always make sure that fire extinguisher servicing companies you deal with in the Glasgow and west of Scotland area are qualified. Also that fire extinguishers have Kite marks to ensure they are the correct construction and quality standard which ensures they function correctly. 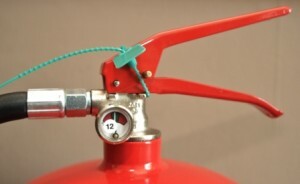 By buying well made fire extinguishers this will ensure they will last you a long time and you will get your monies worth out of them over a long period so long as you have the servicing done regularly. Please contact us to arrange a free survey or call us on 01415612735 if you have any questions we can help you with. Were always out and about in the Glasgow and west of Scotland area so were more than happy to pop in for a chat and a coffee to see how we can help you stay safe and sound. Thanks for taking the time to read this and please comment on what you think we can write about next time to help you. Best wishes and stay safe. This entry was posted in Guidance and Advice and tagged buy, extinguisher, Fire, glasgow, paisley, sales, service, servicing. Bookmark the permalink. Open Training Announced – Level 2 Fire Safety Course. Signup now!